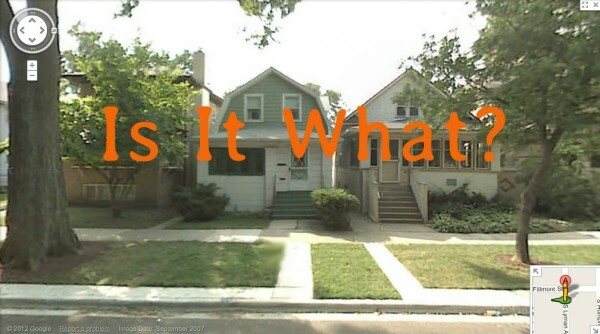 What It Is, is a project space and gallery based in Chicago, IL founded by artists Tom Burtonwood and Holly Holmes at their residence in Oak Park, IL. For two and a half years artists were invited to interact with their domestic space and encouraged to literally play with the fabric of the house. Resulting projects over this period of time include site-specific installations in the kitchen, bedrooms, living room, bathroom and backyard. “Is It What?” is a group exhibition featuring sixteen artists who have worked with What It Is over this period of time. “Is It What?” includes the work of the following artists: Lise Haller Baggesen, Man Bartlett (Brooklyn), Bradley Bullock (Carterville), Jacob Crose, Theodore Darst, Jonathan Franklin, Troy Hagenbart (Brooklyn), Selena Jones, Sabina Ott, Rob Ray (Los Angeles), Andrew Rigsby, Sara Schnadt (Los Angeles), Stoic Swine (Seattle), Channel Two: Jessica Westbrook and Adam Trowbridge, Anthony R. Vizzari, Michelle Wasson.